The Nigeria political space is a theatre of absurdities. Absurdities at a level that will be unbelievable, albeit unconceivable to those from climes dubbed developed democracies. What with a President who seem to have been asleep for the better part of the three years he has been in office for; and leaves for medical holidays without a note as to how long he will be out for and what ailments ails him. And how does one explain an executive arm of government that appears to have been using state resources to prosecute political agendas as the recent Supreme Court decision on Saraki’s asset declaration case has suggested? Or a state where one capitalist group – cattle herders – freely infringes on the rights of common citizens, never mind that these citizens own rights to be capitalist as well? And a silent Commander-in-Chief, who in the wake of mass murders of citizens by other citizens in peacetime for various reasons ranging from grazing land to border clashes between communities that have lived peacefully together for decades? But I digress. Premium Times, a digital publication run by some of Nigeria’s remaining youthful prisoners of conscience, revealed in an investigative piece that our dear Minister of Finance, Kemi Adeosun, may have forged her exemption from the compulsory national youth service, the one-year performance of civic duties expected of all Nigerian graduates under the age of thirty. Personally, I have very little respect for the programme in its current shape, having had a first-hand experience more than a decade ago and secondary experience via my support of protégés, friends and family members who have at one time or the other gone through it. However, my full opinion of the scheme will be the subject of a future discourse. The entire premise of this essay is that Mrs. Adeosun indeed faked her NYSC certificate and Members of the National Assembly rather than call her out and not approve her ministerial nomination, saw an opportunity to rip the executive and took full advantage, as the Premium Times reported. Normally, I would have cautioned that citizens hold their peace until the facts of the report are verified or otherwise. However, given my assertions in the opening paragraph of this piece I have elected to condemn both Mrs. Adeosun and the National Assembly – the later more especially as the allegation against it is not something one can safely put past it, given it is antecedents. To the discerning, both aunty Kemi – as I refer to her in conversations with friends – and the Nigerian law making arm of government are complicit in illegality and criminality. If the report is true in its entirety, aunty Kemi, has broken a cardinal rule – no, not that of not completing NYSC and faking her own exemption from the scheme, but that of coming to equity with clean hands. Irrespective of her opinion of the NYSC programme, she shouldn’t have resorted into faking any element of her credential. If the allegations are true, she will leave people like me wondering what else on list of accomplishments were also faked? 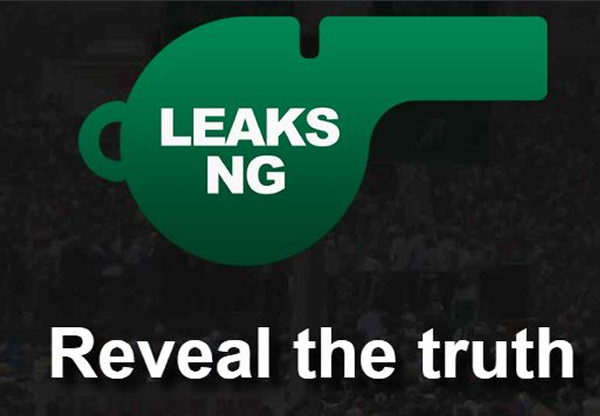 If true, the Nigerian parliament has again provided fodder for the fire consuming the public around the sincerity of the National Assembly to the mandates given it by the constitution of the Federal Republic of Nigeria as well as those implicit in the people’s decision to elect law makers to these hallowed chambers. And a behaviour like this has further confirmed the honourable-chanting lot as self-serving and albeit thieving public officers who do not have the best interests of Nigerians at heart. They have in knowing that a potential minister has fallen short of the minimum requirements to serve as a cabinet member of the Federal Republic of Nigeria elected to look the other way – not because they considered aunty’s criminal representations as an evil we should live with given the potential benefits of having her genius oversee our finances as minister of finance, but mainly to exploit the weakness this lie introduces into the ranks of the executive arm and they in turn immorally exploited this weakness to have their ways with the nation’s purse. Till date no one knows for sure how much the total take home of each law maker is – even discounting the volume of cash alleged to be making the rounds via back channels in those hallowed chambers in what would have been openly called lobbying in other climes but only qualify as graft here. Whilst I support a full on but speedy investigation of the Premium Times report –no, not that I doubt the veracity of the report, I doubt law enforcement will take Premium Times’ report as the gospel and attempt prosecution solely on that basis – and if it turns out that we are not dealing with a case of serious misunderstanding here, then aunty must resign and face the consequences of her poor judgement. Others who must be made to face the consequences of their actions are the lawmakers who failed Nigerians like you and I – desecrating the screening exercise and making people like me wonder what the point of the exercise really is; and blackmailing a sitting minister for their own greedy ends, thus further desecrating the hallowed chambers and all that the Nigerian parliament stands for. Sadly, the populace allows itself to be divided along lines dictated by some of these thieving anomalies, without questioning the fundamentals of these demarcations. You ask yourself: in what ways are Muslims significantly different from Christians in Nigeria except the ways they have each been told to approach God. Other than that, they buy food from the same market, are killed by the same poor state of healthcare and treated to the same set of insults from state run and state friendly news media outlet. Unfortunately, the current certificate scandal is likely to go unpunished past a few wrist-smacking here and there. Even more devastating is that the only semblance of justice we are likely to see is the different political party and their dogs asking for rule of law to pervade only to the extent that it offers them opportunities to score political points and make them ever marginally more popular than they were before the breaking of this new low. If you ask me, this scandal provides yet another opportunity for all to put aside the made up differences and ask themselves some important questions: for example if we continue like this and you and I do nothing about changing the political status quo in this country, what country will we leave for our children?